The results are in: Austin is amazing. We definitely need to live here at some point. In the few hours that we spent around town, we walked the super-cool S. Congress strip, ate the best tacos ever [Torchy’s at the South Austin Trailer Park, a food truck/trailer haven], splurged on a "cake shake" [exactly what you think: cake blended into a milkshake], recharged after our sugar coma with delicious iced coffee at a place known for hot dogs [Frank’s, the coolest restaurant/bar/cafe/music venue we’ve ever been to] and found the house of our dreams [a deal at $700K, slightly out of reach, considering our zero-income status right now]. Austin has won the city challenge so far. Special shout-out to Matt Fedor for the air mattress and awesome hospitality! We didn't even need candy...the rich sugary aromas were enough! 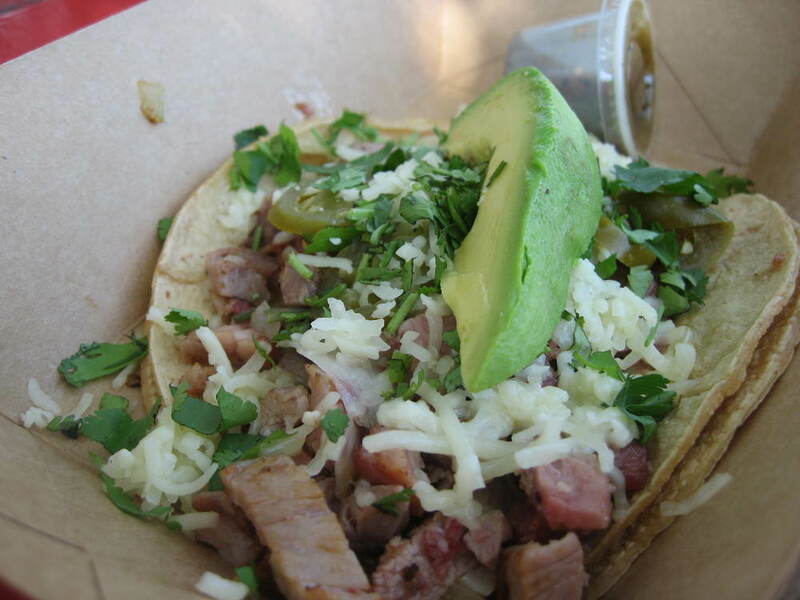 Kristen's pick at Torchy's: the "Trailer Park", served "trashy"
With the host! Thanks for everything! !